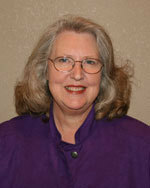 Pamela (Janasek) Scofield, joined the staff of Tibbetts Bros., Inc. in November of 1994 as the CFO of the organization. She assumed the responsibilities of President of the corporation in 2011. Pam graduated from Wichita State University in 1975 with degrees in piano performance and music education and subsequently taught music in the public schools of Hutchinson and Haddam, Kansas. During that time, she commuted to Wichita State and earned her Master’s degree in music education. After moving back to her hometown of Belleville, Kansas in the 1980’s, she decided to make a career change and returned to school at Kansas State University, ultimately earning another degree in accounting and completing the requirements to become a CPA. Pam spent the next few years working for a local CPA firm before accepting a position with Tibbetts Bros., Inc.Pam is married to Sid Scofield of Belleville, Kansas, who owns and operates S & P Farm Repair, Inc., located north of Belleville. They both have a deep appreciation for the surrounding communities and the people that reside there. Pam is actively involved in the First United Methodist church of Belleville, Kansas where she continues to put her training and love of music into practice. Pam is a member of the Kansas Funeral Directors Association, the American Institute of CPAs and the Kansas Society of CPAs. She is a long-time member of PEO Chapter JA participates in community service and loves to quilt and travel in her leisure time. 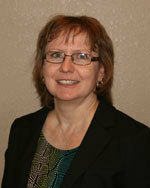 Cindy (Splichal) Poppe is originally from Munden, Kansas and graduated from Belleville High School. She currently resides in the Chester, Nebraska community with her husband, Steven. They are active members at St. John Lutheran Church in Chester and several area organizations and are the parents of two grown children. She is the office manager at Tibbetts-Fischer Funeral Home. Randy Paugh, a native of Maryland, joined the staff of the funeral home in 1989 coming from the community of Courtland, Kansas. Randy holds a Bachelor of Science degree from Liberty University, Lynchburg, Virginia and a Mortuary Arts degree from KCKCC, Kansas City. He holds both funeral director and embalmer licenses in Kansas and Nebraska. Randy also serves the families of Thayer County, Nebraska with Price funeral homes in Hebron, Davenport, and Deshler, Nebraska. Joseph is a Republic County native, and graduated from Belleville High School in 2002. Joseph started at Tibbetts-Fischer in May 2018, having returned to Belleville after spending the previous 10 years working in the Topeka and Kansas City area as a Paramedic. Joseph is currently enrolled in Mortuary Science school through Des Moines Area Community College, with an anticipated graduation date of summer 2019. Joseph also continues to serve his community as a part time Paramedic with Republic County EMS. Tim is from Courtland, Kansas, and has been working at Tibbetts-Fischer since 2013. LeRoy is from Munden, Kansas, and has been working at Tibbetts-Fischer since 2009. Marge is from Belleville, Kansas, and has been working at Tibbetts-Fischer since 2017.